That was the message March 3 at the First Annual JUMP dinner, which drew a large crowd of about 100 people to the Army and Navy Club in Washington, D.C. 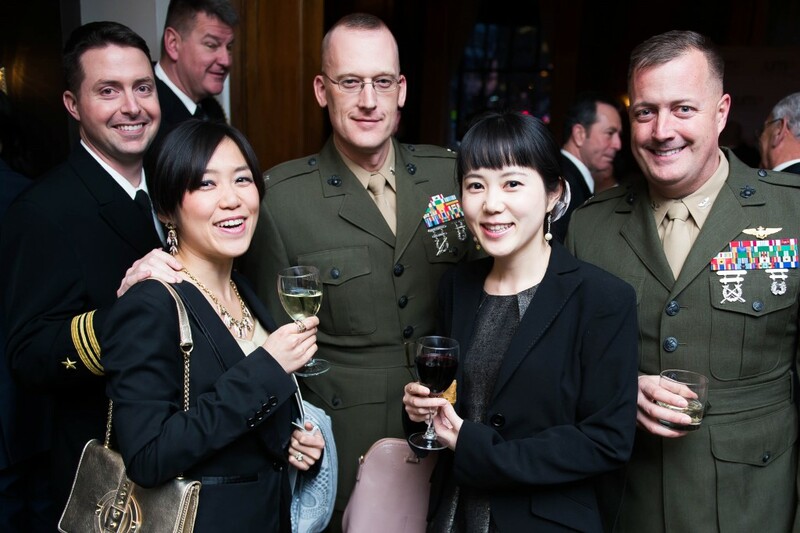 The event celebrated the Japan-US Military Program’s first year of bringing together those with the common bond of having served in Japan. That common bond also provides a strong foundation of support for the overarching US-Japan alliance. According to General Robert Neller, Commandant of the Marine Corps, this bilateral relationship is the backbone of American strength in the Pacific that becomes increasingly important in the face of challenges, such as threats from North Korea and tensions with China in the East and South China seas. Gen. Neller reflected on how far the relationship has progressed since the Second World War. Survivors of that conflict, he said, never would have known the friendship that lay ahead – one that would include side-by-side training and the common fraternal bond that only those who wear the cloth of their country could understand. He hopes the future of the bilateral alliance grows to strengthen further, to include deeper integration and interoperability both in a military capacity and also in situations where humanitarian aid is needed. 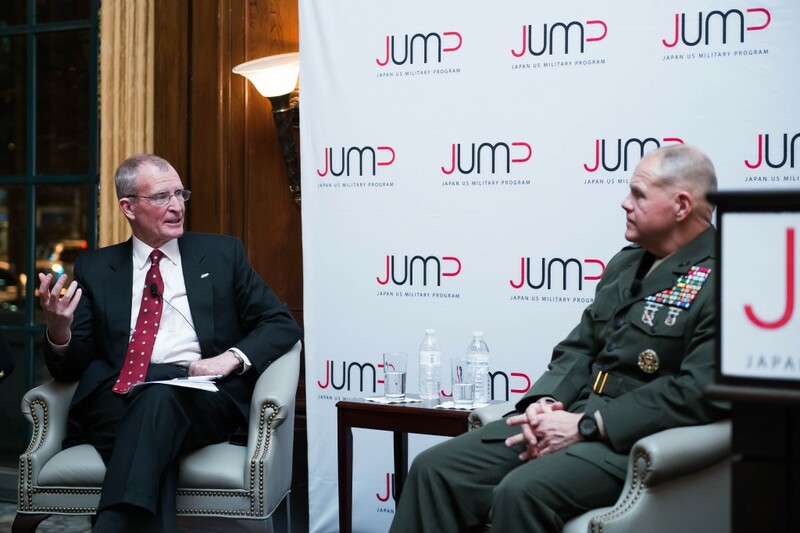 Admiral Dennis Blair, former Director of National Intelligence and Commander of Pacific Command, said he views JUMP as a way to unite the tens of thousands of service members who have served in Japan and come to love the country, as he did. Adm. Blair also is Chairman and CEO of Sasakawa USA, the organization that oversees JUMP. The program has had numerous events in the past year to bring these service members together, he said, and much more event planning already is underway to continue the momentum. 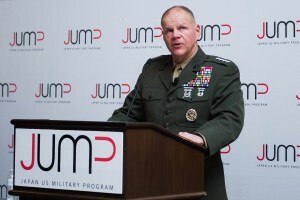 JUMP’s next upcoming event is a networking social at Sine’ Irish Pub on Pentagon Row in Arlington, Virginia on March 24. 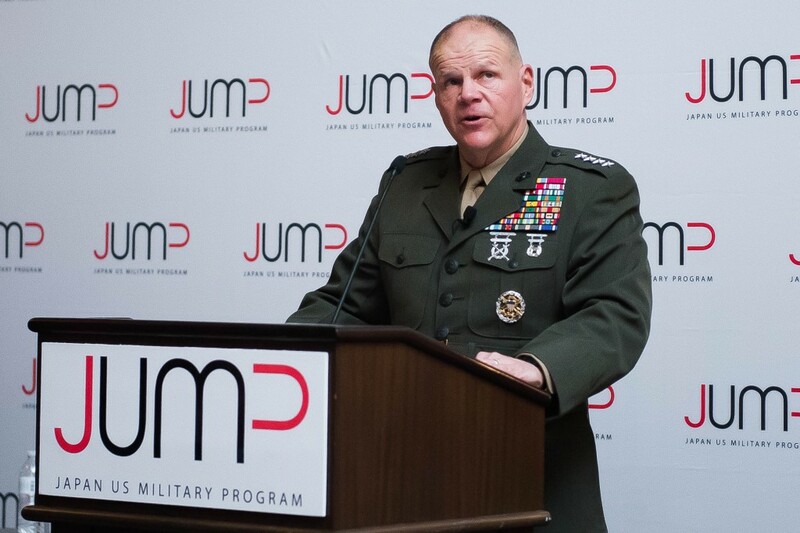 JUMP is always growing and adding new members to its ranks! Click here to join the JUMP network so you will be informed about other upcoming events being planned. Article by Christa Desrets. Photos by Joy Asico.